President of Rwanda Paul Kagame meets Canada's Prime Minister Justin Trudeau at the G7 Outreach Official Welcome on day two of the G7 Summit on June 9, 2018 in Quebec City, Canada. LONDON (CNNMoney) - The Trump administration has suspended a benefit that allows Rwanda to export clothing to the United States without facing tariffs. Announced by Office of the United States Trade Representative, the move is the latest escalation of a trade dispute between the Trump administration and one of the world's poorest countries. The suspension will affect $1.5 million in clothes from Rwanda, or 3% of the country's exports to the United States, the trade office said. "We regret this outcome and hope it is temporary," Deputy U.S. Trade Representative C.J. Mahoney said in a statement. "The president's action today is measured and proportional." The trade dispute can be traced to 2016, when Rwanda increased import duties on used clothing from the United States from $0.25 to $2.50 per kilogram. Used clothes, many of which start as U.S. charity donations, have long been a staple of wardrobes in a country that still bears the scars of a horrific genocide 24 years ago. Yet their abundance and popularity have stalled development in the local clothing industry. 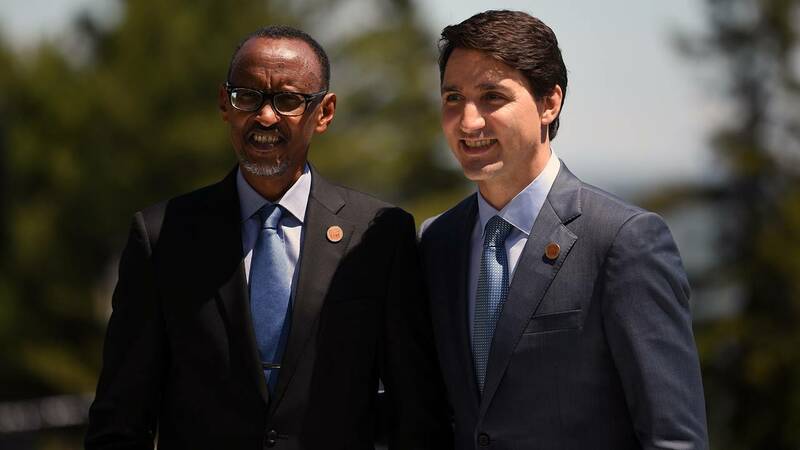 Rwandan President Paul Kagame has said the duties were needed to boost local producers and prevent his country from being used as a "dumping ground" for used American clothes. He has proposed banning imports by 2019. The restrictions have upset traders in the United States. The Secondary Materials and Recycled Textiles Association, which represents companies that sell used and recycled clothing, filed a complaint with the U.S. government in 2017 arguing that the trade barriers put thousands of American jobs at risk. The U.S. warned Rwanda in March that it could lose the right to export duty-free apparel if it failed to roll back its tariffs. The Office of the United States Trade Representative said in its statement Monday that Rwanda would retain other benefits under the African Growth and Opportunity Act (AGOA), which allows sub-Saharan African countries to export to the United States without facing tariffs. "The president's action does not affect the vast majority of Rwanda's exports to the United States," Mahoney added. "We look forward to working with Rwanda to resolve this issue so that benefits in the apparel sector may be restored." Critics of the U.S. decision say the government has overreacted to the tariffs on used clothing, which affect just $17 million in U.S. exports a year and target a country where average annual income is around $700. Rosa Whitaker, a former U.S. trade official who worked on African issues under Presidents Bill Clinton and George W. Bush, told CNN that the Trump administration was threatening to suspend the trade benefit out of a "warped sense of America-first." "The Trump administration is making a symbolic statement rather than a substantive statement," she said. "I see America picking trade battles, but I was surprised we would have time to pick one with Rwanda. We are talking about such a small amount of trade." Whitaker, who helped design AGOA, said the move goes against the original intent of the legislation. "One of the whole points of the agreement was to help African countries to develop an apparel manufacturing base, because we understood that apparel is the first entry point into manufacturing," she said. In Rwanda, the government has pledged to help exporters affected by the trade spat by compensating them for new U.S. taxes.